10.3G Network: Standard is 3G WCDMA:Support B5/B8/B3/B2=850/900/1800/1900MHZ, 3G WCDMA:B5/B8/B2/B1=850/900/1900/2100MHz; 4G LTE is optional, 4G Frequency: FDD LTE Bands:B1/B2/B3/B4/B5/B7/B8/B13/B17/B20=2100/1900/1800/1700/850/2600/900/700C/700BC/800Mhz. 12.2D Barcode Scanner: Honeywell N3680 2D Barcode scanner module is optional. 15.Keyboard Battery: 7.4V/6300mah is optional. Highton Electronics CO., LTD is early-engaged professional Rugged Laptop and Rugged Phone manufacturer in China,we manufactured Laptap since 2008 year,our OEM factory has 300-400employees,covering 5000 square meters,having SMT machines,8 production assembly line, we can assembly about 150000pcs Laptop month,and our factory was approved by ISO9001 certificate,strictly fulfill "7S" quality system,we made OEM orders for many domestic and foreign brands,we have good partnership with many CPU suppliers like VIA, Infotmic,allwinner A10,intel agents,we have perfect cost-saving and quality-control systems,So we can provide our customers with the best price for good quality. For samples, prepay the full sample cost, for Bulk order, prepay 30% deposit, the balance will be available before the shipment. 7-30 working days,but try to complete the order as soon as possible. We have other rugged tablet laptops ,welcome to inquire. 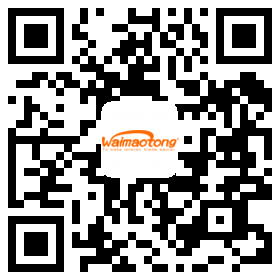 We are striving to become your best choice if you buy rugged tablet laptops in China. Company Name:SHENZHEN HIGHTON ELECTRONICS CO., LTD.